If I had to sum up Lego Marvel in just three words, I’d say that is is cute, fun, and witty. It’s definitely not a game just for male gamers, in spite of what it being made of Lego might imply. Female gamers and Marvel fans will find the game equally accessible, with its gentle learning curve, intriguing puzzles, constantly-changing approach to platforming and its hilarious dialogue. 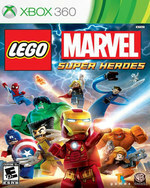 Give it to LEGO to inspire of one of the best Marvel games this generation. Of course that’s not saying much given the trash we’ve had before it, but it’s a good game in its own right. It features smooth beat ‘em up gameplay, clever puzzle solving and enough content and playable characters to entertain even the most stubborn Marvel fan. On top of that, it’s utterly charming. Mechanically the game is extremely simple, especially in combat, with death itself meaning very little, though the stud-building effects of playing well and growing a combo keep things interesting. The environmental puzzles that hinder your progress are usually simple to deduce. But usually isn’t quite usual enough, with a lot of abstract gates and poorly signaled or missing cues that will leave you stuck until you stumble onto the solution. It won’t be a moment of epiphany and a feeling of a job well done; just the relief that you can continue on to sees the next little Lego wonder. 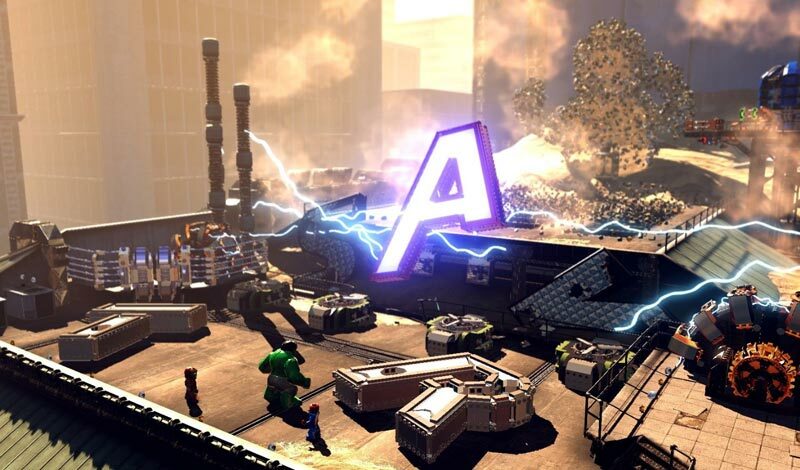 Ultimately, Lego Marvel marks the first time I’ve had as much fun in the hub world as in the story-based missions. Variety abounds, and the split-screen lets players explore the city on their own. I made it my mission to find bricks and solve the unexpectedly clever puzzles to unlock extras, while my son was happy to rampage through the streets as Venom. Want to get someone into the Marvel Universe? If they have an open mind, Traveller's Tales Lego Marvel Superheroes is the perfect introduction. The game's on the easy side, but fans and non-fans will find a title with great deal of love for and a lot to say about Marvel Comics' roster of characters. For families or individuals that love Marvel comics, movies, or cartoons, Lego Marvel Superheroes is the perfect pick-up for this holiday. Lego Marvel Super Heroes is a light-hearted adventure that's got a few technical flaws, but is a nice, relaxing super hero game that's free of all the grimness we've come to see in recent years. Any fan of either Lego or Marvel Comics should check out Lego Marvel Super Heroes, especially if they're looking for something comedic and kid-friendly to play. But if you don't have more than a cursory knowledge of Marvel in general, you may not enjoy it quite as much. Familiarity does let Lego Marvel down here and there; it still features a locked camera, which detracts, and there’s still no online co-op, for reasons I can’t fathom. The flight controls are clunky, and the character switching is nonsensical, leaving several buttons seemingly perfect for the job completely unused, but none of these tarnish what is the strongest Lego title yet, and the best Marvel game ever made. LEGO Marvel Super Heroes is the best thing to happen to Marvel games since 2006's Marvel Ultimate Alliance. It's a warm and witty, multi-layered approach to the brand that ties in hundreds of Marvel's most iconic characters, settings, and stories. While you can knock out the campaign story in around eight hours, the world is rich with content, and I've found myself up late every night for the past week playing for "just one more hour." Lego Marvel Super Heroes couldn’t slay all of its technical villains, but there’s plenty of fun to be had despite those shortcomings. 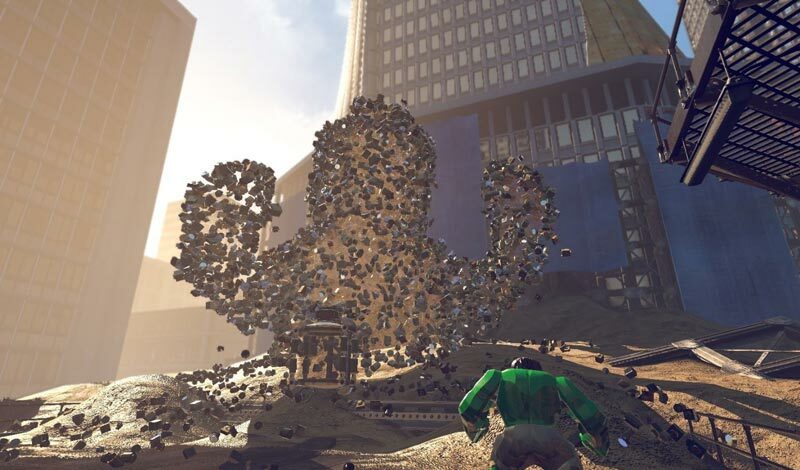 How often do you get to control legendary Marvel superheroes in an urban sandbox, flying around and destroying things as you please? Couple that with truckloads of pieces to collect and heroes to unlock, and Lego Marvel Super Heroes will serve as a terrific ally in the fight against boredom. Excelsior! Traveller's Tales has embraced their love of superheroes and used it to build an imaginative, expansive game. 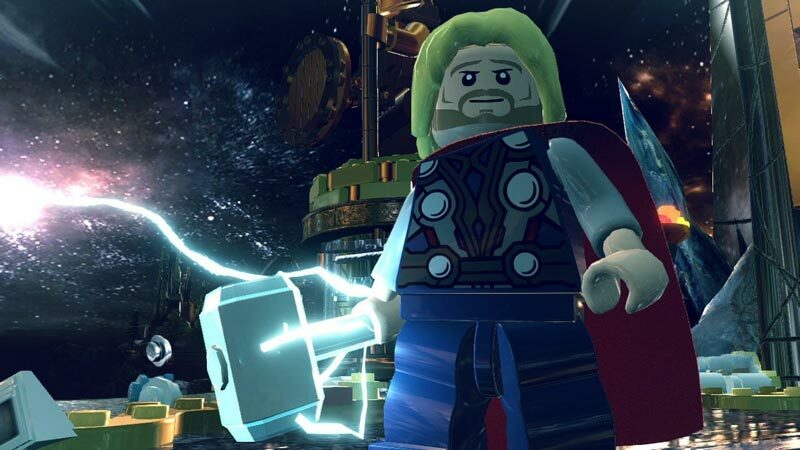 Anyone could enjoy Lego Marvel Super Heroes' tightly-designed systems and colorful world, but for someone who grew up reading The Avengers or is growing up watching them now it offers something I never thought I'd see: a virtual recreation of a huge swath of the Marvel Universe in all its sensational, astonishing and uncanny glory. If you’re a LEGO or Marvel fan, this is for you. Hell, even if you’re just a fan of adventure games in general, we would recommend Marvel Super Heroes. TT’s latest and greatest is absolutely packed with replay value, and whilst some of it may be fluff, a lot of it isn’t. If you can get 100% completion before the end of the year, then give yourselves a pat on the back from us. Like its predecessors, Lego Marvel has surface flaws - but it's so generous with its content, so clearly head-over-heels in love with the characters and world it's inherited from the comic page and cinema screen, and so reliably, reassuringly designed from the ground up to both enchant and inspire young minds, that it's impossible to allow the slight technical scruffiness to sour the experience. 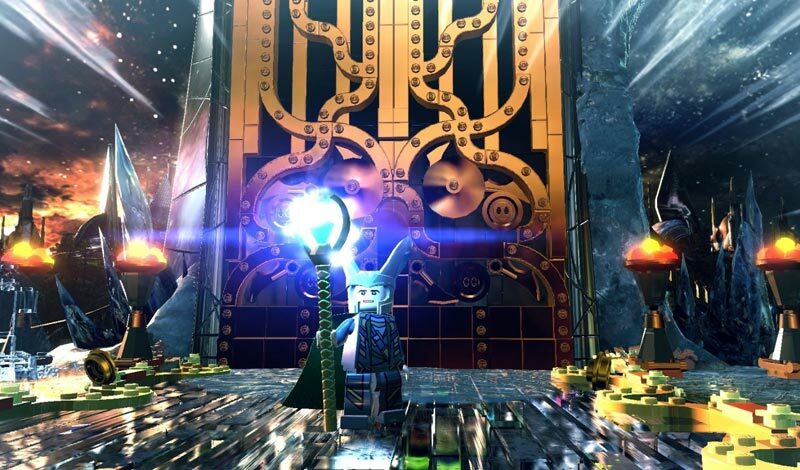 Lego Marvel Super Heroes se convierte en el mejor juego de Lego hecho hasta la fecha por dos motivos principales: el primero es que sabe explotar al máximo todos esos caminos que se han explorado en las últimas entregas, entre ellos la libertad de movimientos; el segundo y gran motivo está en el universo que toca, ya que Marvel da para mucho con un plantel de héroes y villano simplemente espectacular. Y se aprovecha siendo un título recomendable sin duda para los amantes de esta factoría de cómics. 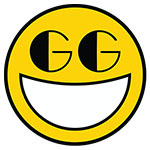 TT Games firma uno de sus mejores trabajos dentro de la saga LEGO con una aventura plagada de situaciones muy simpáticas, puzles, héroes muy famosos y espíritu cooperativo. Y una vez más el título vuelve a deparar la mejor de las diversiones para todo tipo de jugadores, ya sean noveles o expertos en estas lides. Por eso mismo estamos ante una producción recomendable en todos los sentidos, que a pesar de contar con menos "hype" que otros títulos que están llegando en estas fechas, su calidad es más que notable. 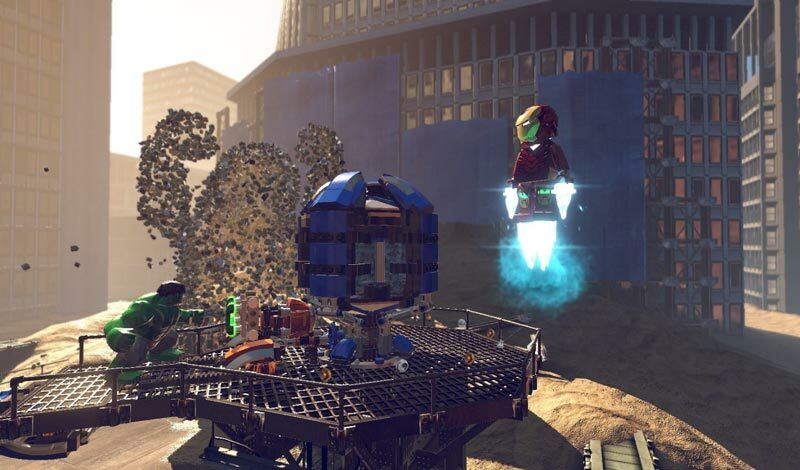 LEGO Marvel Super Heroes zugleich ein Liebesbrief an das Ursprungsmaterial und eine Ode an das Spielen und Entdecken an sich. Anders als bei vielen anderen Serien, bei denen man sich schon manches Mal fragt, warum es jetzt schon wieder eines von der Sorte gibt, wird dieses Medium ausgerechnet durch jede neue LEGO-Lizenzspiel ein bisschen besser. Man muss das nicht verstehen. Man muss es nur spielen. Excelsior! Die Mischung aus stringenten Story-Missionen sowie offener Welt mit vielen Nebenaufgaben hält einen auch nach der etwa zwölf Stunden langen Erzählung beschäftigt. Der dynamische Splitscreen macht das kooperative Heldendasein zu einem unkomplizierten Vergnügen. Es gibt Unmengen an Figuren und Fahrzeugen freizuschalten. Einzig bei den Bossen und den zu offensichtlichen Rätseln hätte man eine Schippe draufpacken können. Avec son contenu gargantuesque et sa réalisation de qualité, LEGO Marvel Super Heroes séduira un vaste public, tant du côté des amateurs d'adaptation cinéma que du côté des adeptes de comics. L'humour et la légèreté du titre pourront rebuter les plus exigeants mais plairont aux plus jeunes, cibles prioritaires de la franchise. Ces derniers seront, on l'espère, moins regardants que les férus de beat'em all et d'open world en ce qui concerne les petits défauts et l'ergonomie parfois dérangeante du jeu. Bonne pioche ! Over cross over totalement improbable et donc furieusement jubilatoire, LEGO Marvel Super Heroes nous offre un casting de rêve que l'on prend un malin plaisir à découvrir tout au long d'une aventure fun, variée et plutôt riche. Bien épaulées par un open world plaisant à découvrir et fouiller, les missions principales campent sur les bases posées par leurs prédécesseurs et proposent un gameplay vu et revu, mais qui fonctionne toujours aussi bien. Massiccio, colorato, divertente da giocare e splendido da affrontare spalla a spalla con un amico, LEGO Marvel Super Heroes è il miglior gioco basato sui famosi mattoncini, nonché un'esperienza che può impegnarvi per ore e ore a patto di non essere in cerca di un tasso di sfida impegnativo: questo è l'unica cosa che manca nel gioco.